Here is the famous bird with my car, who I affectionately call ‘Jane.’ This should give a perspective on its sheer size and scale. It is one large grouse! Actually, it's a beautifully crafted bronze sculpture which dutifully marks the entrance to the Famous Grouse Distillery Experience and the home to Glenturret. 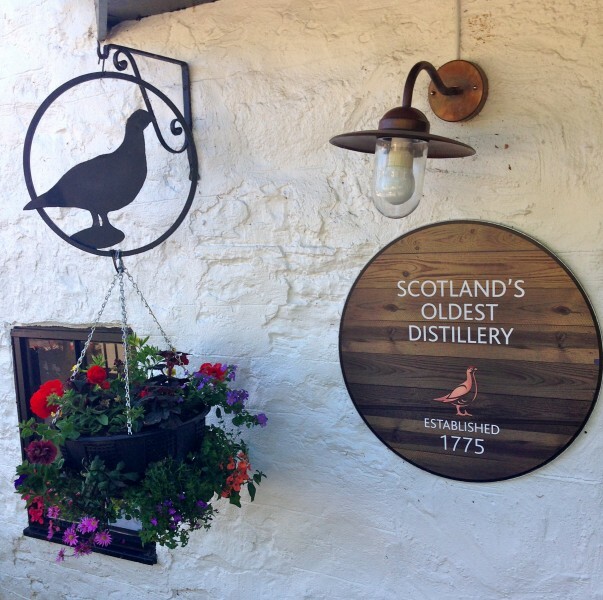 As the sign confirms, it is the oldest distillery still in operation in Scotland. It was opened in 1775, just before the American Revolution got into full swing. In addition to the blended malt, Famous Grouse, it also produces a single malt whisky, Glenturret. Glenturret is unique in that it is NOT mass produced for export. It can only be found for purchase at the distillery itself. It is considered a very smooth malt with a bit of a carmel finish. An excellent and gentle malt, it is a 'must visit' for all those who love whisky. 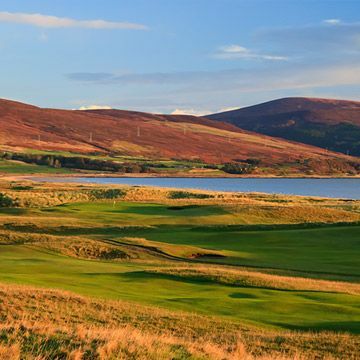 So with our purchases in hand and our spirits lifted by the famous bird, we set off to Muthill Golf Club (pronounced moo-thill). Here the entrance with the Scottish saltire flag flapping gently in the breeze. Two other ladies, who had just finished their round, gave us a helpful hand to register and pointed us on our way. 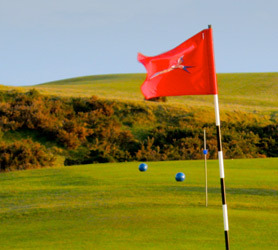 Muthill is a beautiful, parkland course on the hill above the town of the same name. It enjoys unbelievable views of Crieff, the Ochill Hills and the entire surrounding Strathearn Valley. Most holes have two separate tee boxes, but the first just has two sets of markers to delineate the hole. If you want to play a full 18 holes, the tee boxes for the second 9 are set at different angles into the greens. This makes the course play decidedly differently on the second time round. It seems well worth the effort to play the full 18 even though this time we did not, I certainly will next time I am there. From the start, Muthill follows a gentle uphill climb before returning to the clubhouse to finish. It is an excellent layout which, interestingly, has a couple of blind approach shots. They have duly installed ‘bells’ for a ringing confirmation that someone is no longer on the green. I can imagine these bells have rung many a time throughout Muthill’s 80 year history. And I do admit that even though there was no one behind us, I was tempted to ring them myself! And here is the bell ... doesn't it look like fun to have a go?! 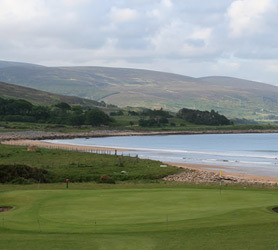 Again, Muthill is a terrific, straightforward course with pristine fairways and lovely greens. We were able to hit most of the fairways, which was a real treat as we were on our 19th to 27th holes of the day, walking and carrying all the way. Here is Ann’s approach into the fourth. And we were quite delighted to find that both 8th and 9th holes finish downhill. Although 9 is a very long and tough par three for ladies at 201 yards. To add to its challenge, it finishes next to the Clubhouse and the Car Park, so skill and nerve is required. It is reminiscent of the 18th at St. Andrews, although there were thankfully no spectators around to watch when we finished. 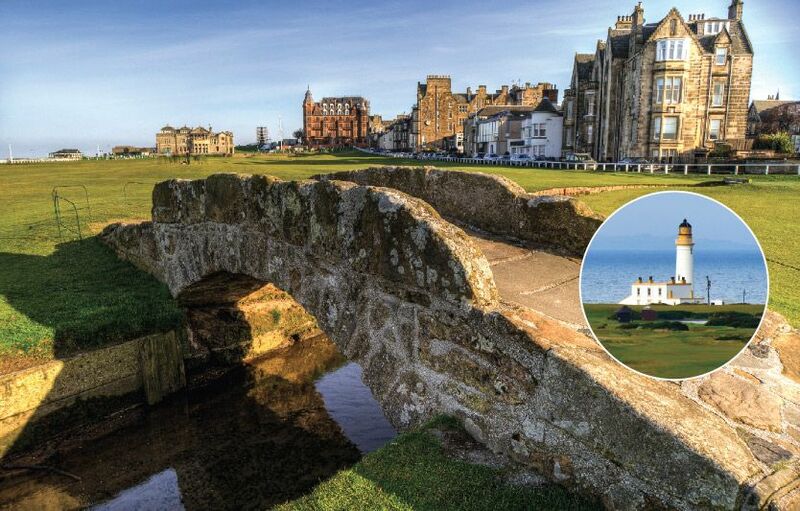 Just like the famous Old Course St. Andrews, out of bounds awaits one down the right. And as the sign says, don't be temped to climb the dyke to retrieve a stray ball. It is strictly controlled and what goes in the surrounding fields, stays there! 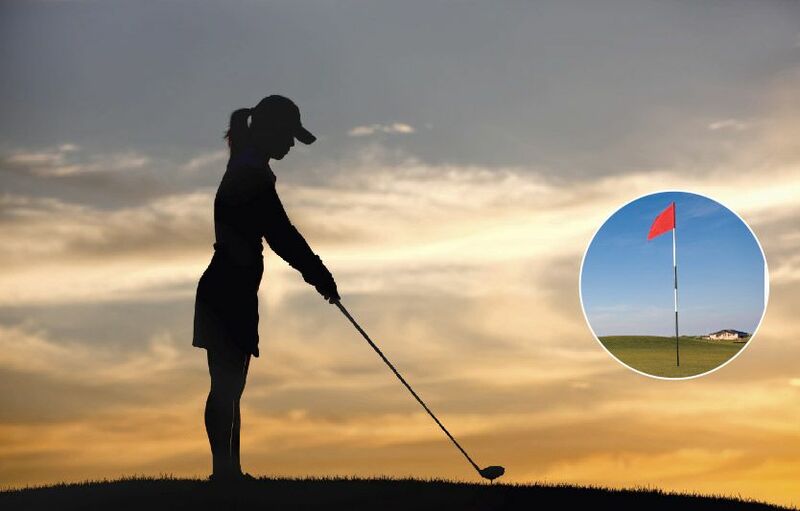 Happily these 'ladies of the links' took that local advice and did not stray there. Again, Muthill was a real delight to find. This wee ‘diamond’ of a course is hidden amongst the trees on the hills above the town. It offers a fair challenge with plenty of fun. 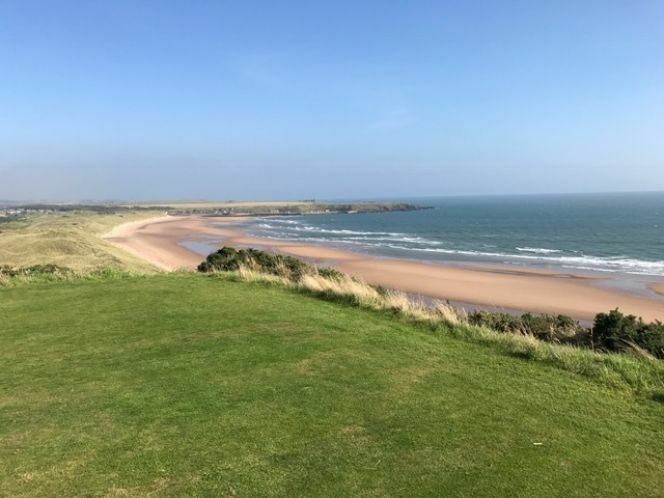 It is well worth the visit, if only to enjoy its warm welcome, its beautiful views and be pleased that it is available today due to the foresight of a local woman who loves golf! 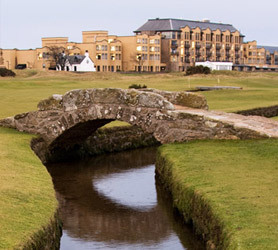 Footnotes: Muthill is 4525 yards long if played as 18 and par is 66. 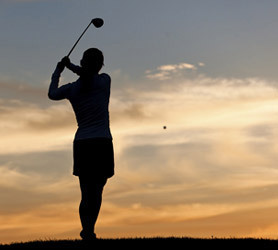 It currently has 30 Lady Members with 15 playing in the competitions. It is undergoing a membership drive and especially encouraging country memberships. 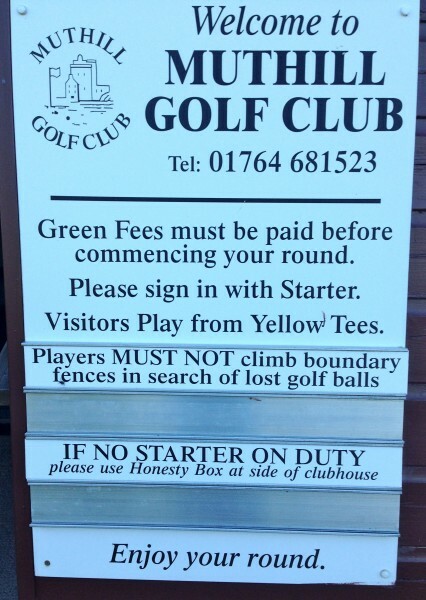 It has both golf buggies and trolleys to hire, all all abilities are encouraged and welcome to play.